A-HOTEL.com - Luxury and cheap accommodation in Pardubice, Czech Republic. 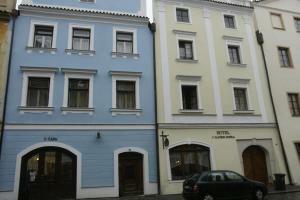 Prices and hotel, apartment booking in Pardubice and surrounding. This indicative offer was derived from the most recently booked accommodation in Pardubice and sort by the price, from cheapest Pardubice accommodation to the most expensive hotels. To select accommodation by your preferences we recommend to choose from 32 accommodation offers in Pardubice in total. By entering the dates of your overnight stay in Pardubice and using the filter tools you can sort the best possible accommodation for you. The entered dates of your stay are crucial for the most accurate offer as it derives all the online information on pricing and availability of Pardubice accommodation. Then you can book the selected Pardubice lodging (hotels, apartments etc.) immediately. The 4-star Hotel Euro is located close to the historic centre of Pardubice, a 5-minute walk from Pernštynské Square. The restaurant serves Czech and international cuisine. Located in the centre of Pardubice, Hotel Zlatá Stika offers free Wi-Fi and modern rooms with cable TV. Free private parking is available on site. Situated in a quite surrounding and 5 km from the centre of Pardubice, Penzion a Restaurace Na Netřebě was built in 2013 and offers modern accommodation with free WiFi, a restaurant with a terrace. Free private parking is possible on site. Located a 5-minute walk from Pardubice historical centre, Penzion Zelená Žába offers free WiFi in all areas and a restaurant on site. A bus station can be found 1. Hotel Atrium enjoys a quiet location in the centre of Pardubice, a 5-minute walk from the Zelená Brána gate and offers you free parking in the courtyard, modern rooms with flat-screen TV and free WiFi and a café with a terrace. Each room at the Atrium Hotel comes equipped with a refrigerator, a TV with satellite channels Aromatic Italian Illy coffee is served in the on-site café and within a 5-minute you can reach various restaurants and shops. Located in the historical centre of Pardubice, 2 km from the train station, the Hotel 100 offers views of the historic castle. Free Wi-Fi is available throughout the property. This stylish villa is 800 metres away from the Green Gate in Pardubice's Old Town. It has a large garden, barbecue facilities and toilets. Offering a restaurant, Penzion Hacienda Ranchero is located in the centre of Pardubice, 400 metres from the Aquapark. A bus stops 50 metres away, and the train station is 700 metres from the property. Pension Skylark in Pardubice has barbecue facilities and a garden. Among the various facilities are a terrace and a bar. Located in Pardubice, Penzion TCV Pardubice offers accommodation with a garden, a terrace and a shared lounge. This guest house features free WiFi and a bar. Situated in the historic centre of Pardubice, Hotel U Zlateho Andela is housed in the building dating back from 15th century. Just 100 metres from the Pardubice Castle, it offers rooms with free Wi-Fi. Providing free WiFi, Penzion 102 is set in Pardubice. Some units at the property have a terrace with a garden view. Located in the historical centre of Pardubice just 120 metres from the castle, the family-run Hotel Mrázek offers accommodation in a national heritage site building with free WiFi and a shared lounge with free coffee and tea throughout the day. 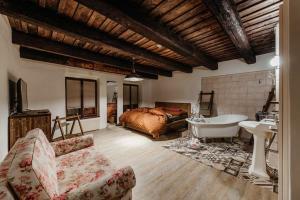 The en-suite rooms at the Mrázek Hotel come with a seating area, a TV and high-quality wooden beds that can be moved together upon request. Penzion FAJN *** is located in Pardubice. With free WiFi, this 3-star guest house offers free shuttle service and a shared lounge. Located in Pardubice, in a building dating from 2017, Penzion Víno Hruška Pardubice features a bar and guestrooms with free WiFi. All rooms boast a flat-screen TV with cable channels and a private bathroom. Located 2 km from Pardubice city centre, this hotel offers a traditional restaurant with outdoor seating. Free parking is available on-site and Dubina Sever Bus Stop is 50 metres from the hotel. Hotel Labe features free WiFi and views of mountain in Pardubice. All rooms boast a flat-screen TV with satellite channels and a private bathroom. The recently reconstructed Hotel Arnost Garni offers cosy rooms in the centre of Pardubice, superbly equipped with all necessary amenities and a kitchen. Get a good night's rest in the homely and pleasant ambience of your own room, benefit from the internet connection and pamper yourself at the hair and cosmetic parlour. Penzion Šenk is a family-run guest house offering en-suite accommodation in a quiet neighbourhood of Pardubice, a town famous for its traditional Czech gingerbread. The property houses a restaurant with an outdoor dining area. BIRDIE Pension & Wellness is set in Pardubice. Among the various facilities of this property are a garden and a bar.